Unless you’re one of the big celebrities who get roles and projects handed to them, you will have to go through a grueling casting process. It doesn’t matter what age you are, young or old, you have to impress casting directors during this critical point. Whether you’re going on your first or hundredth acting audition, here are some tips to help boost your chances in creating a lasting impression with casting directors. Bring your picture and a good resume, even if you have an agent of manager who promised to “send it over.” Casting directors may not be able to remember you at the end of a long day, so just in case the resume from your agent didn’t arrive on time, at least you have one handy. In non-stage or non-camera jobs, people go through interviews so that the bosses will know the kind of person you are and if they are comfortable working with you. The same thing goes with an acting audition. The casting director will look for the best actor out of a sea of similar faces, but more than talent, he will also be on the lookout for someone whom he feels is easy to work with and is able to take direction. No, this is not yet the time to be demanding of your artistic sensibilities. If you are asked to make a choice between monologues, don’t shrug it off or let your casting director make the choice for you. Your decision-making skills will be relevant in character development when you get further into the project. Letting people know that you have clear choices in your characters will go a long way. When your casting director tells you to slate, be sure you know what it is and how to deliver. Slating means you’re going to state your full name, followed by the agency that represents you. 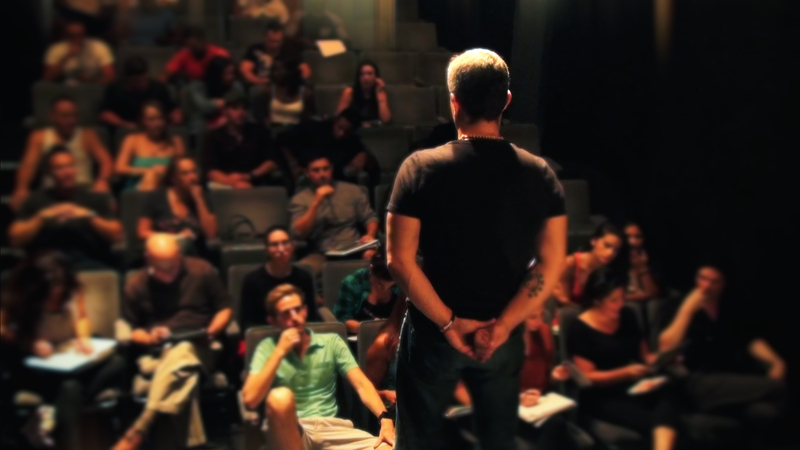 Whether you are auditioning for a TV show, movie, or commercial, be confident when you slate. It also helps when you do so in the character you are auditioning for. Creative minds have the tendency to be more critical of themselves, so when you feel like you screwed up, just finish your piece and don’t start over. Perseverance is important if you want to be an actor, so tough it out. You are more sensitive to your performance more than anybody else in the room and it is more likely that you are doing better than you think you are. In a nutshell, be charming, interesting, and professional. Auditioning for a job is only the first step to your career, so keep in mind that talent can only get you so far. Work hard for the roles you want, and eventually, a casting director will recognize your skills, hard work, and determination. Who knows, one day, you just might be the next big star.